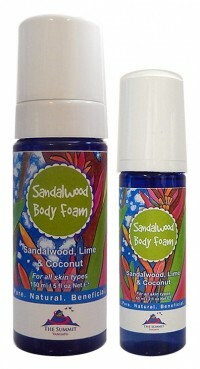 Foam all day from your head to your toes, leaving your skin and hair with a deposit of rich, natural moisturizer. 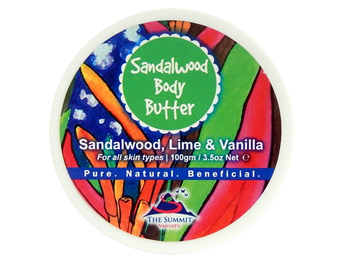 Sandalwood Water adds fragrance along with its unique antibacterial qualities to virgin coconut oil plus a refreshing splash of Lime to gently cleanse and hydrate your skin without leaving a filmy residue. Shake well before use. For a combined shampoo and conditioner, foam directly onto your hair and lather as required. 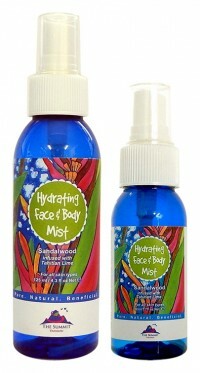 For your face and all over your body, foam a small amount directly onto your skin. Rinse well under the shower. CAUTION: Avoid the eye area and for topical use only. It is not recommended for use on chemically treated hair.